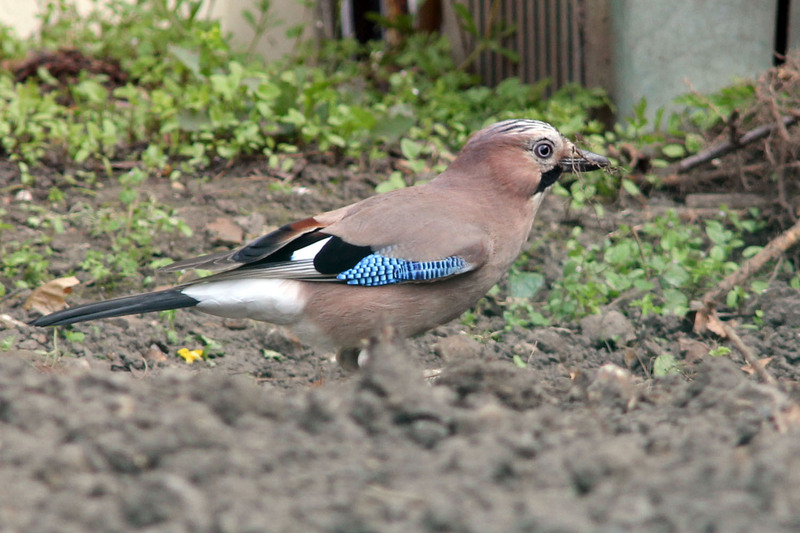 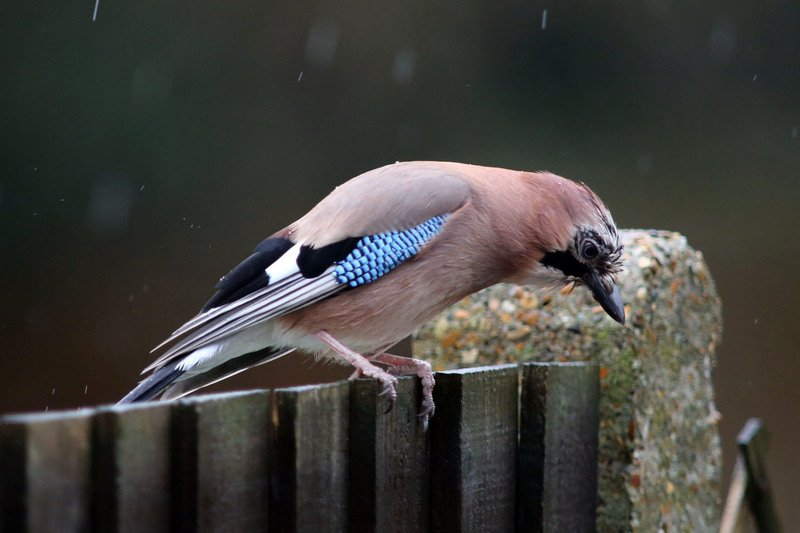 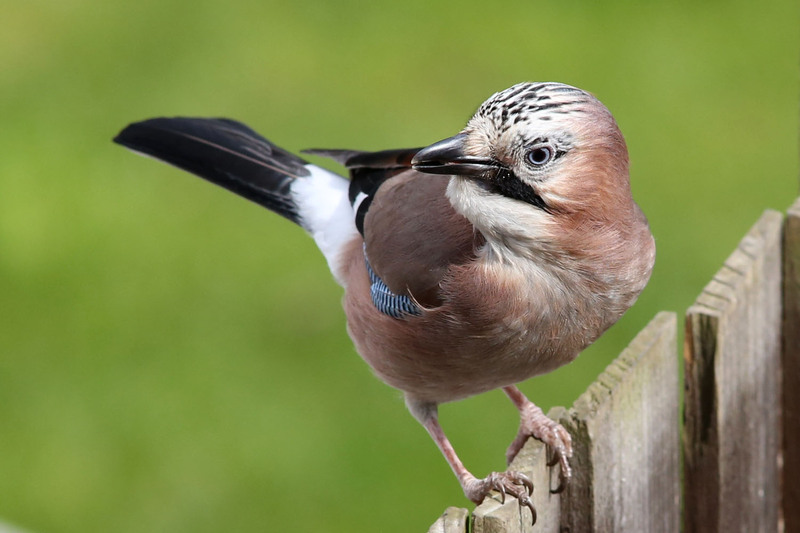 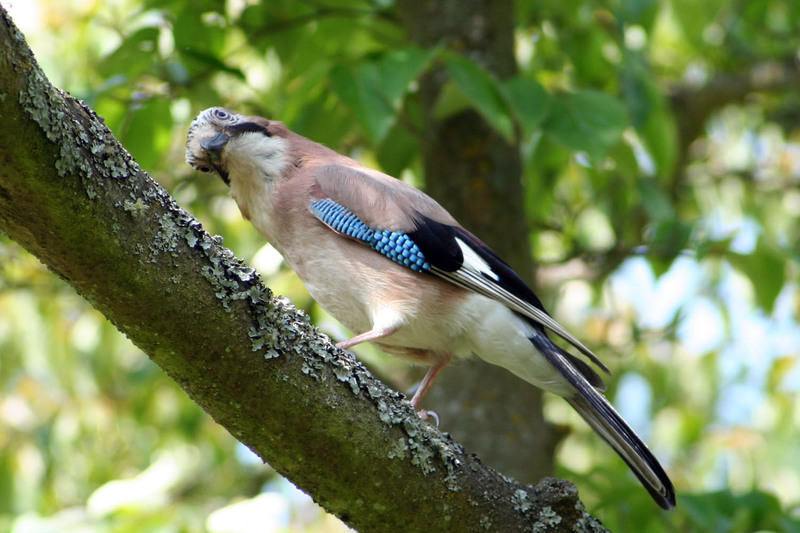 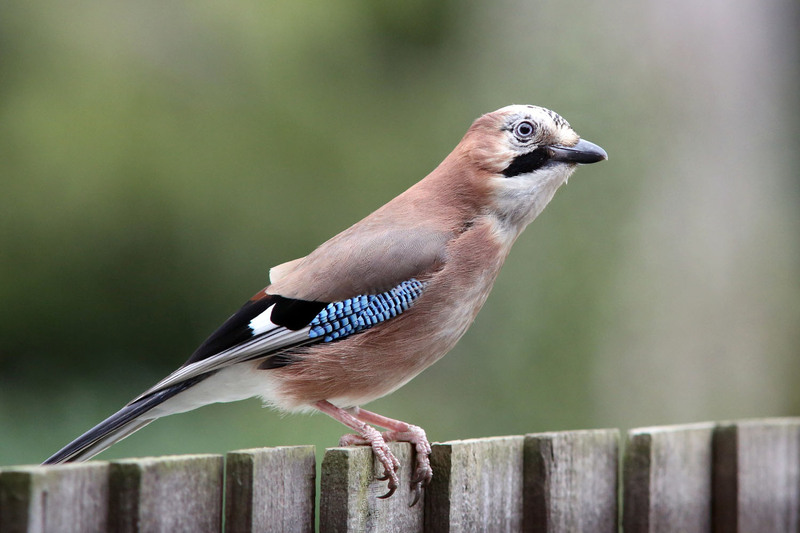 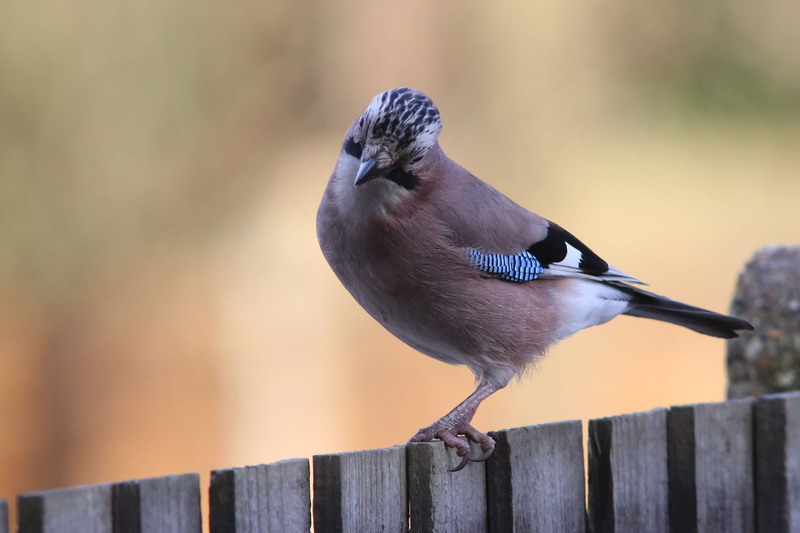 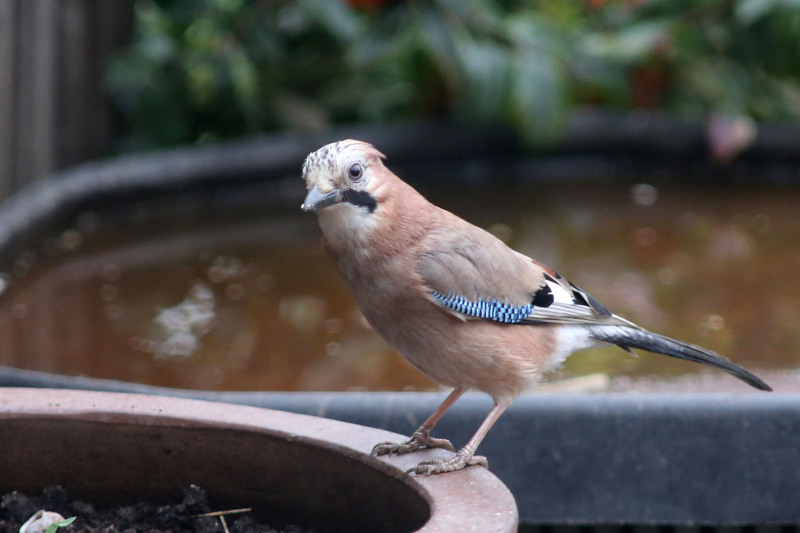 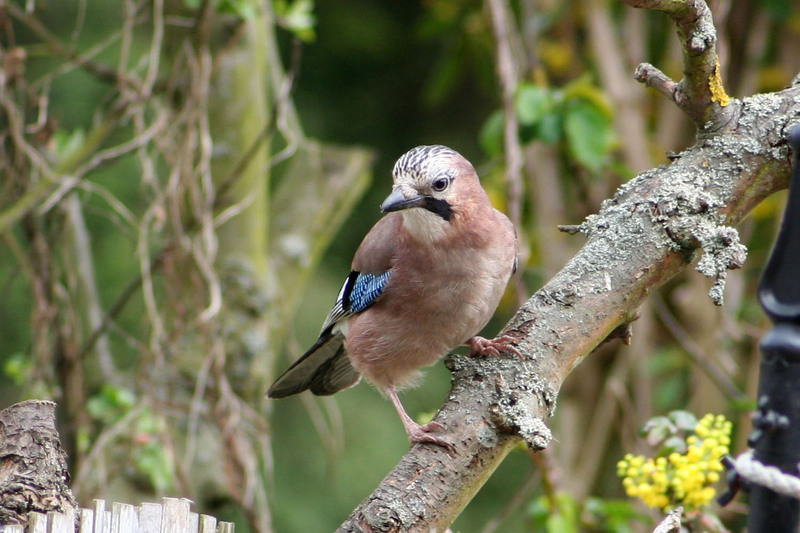 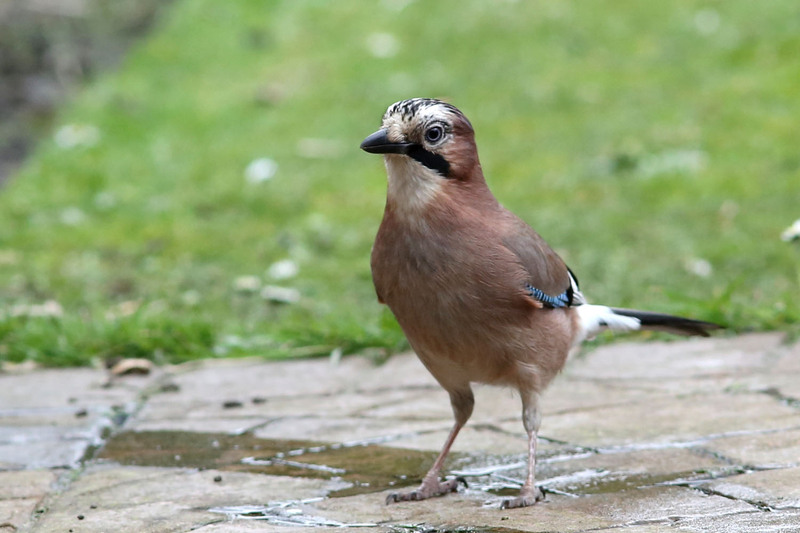 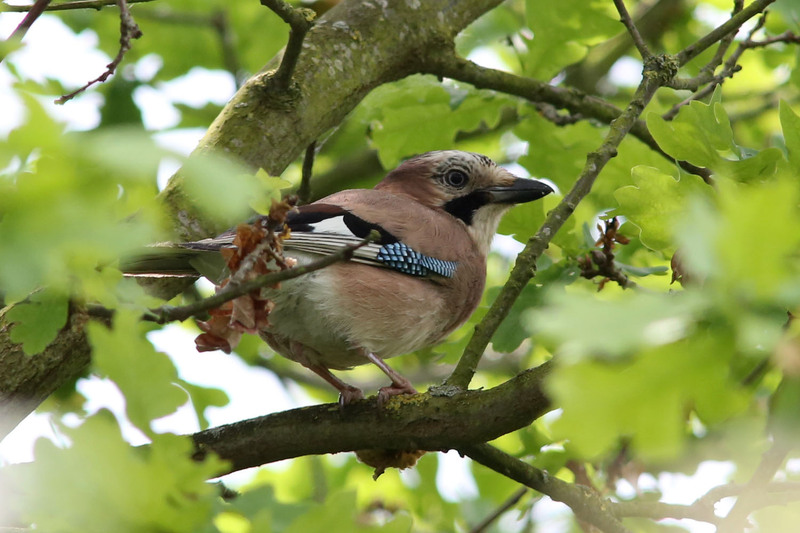 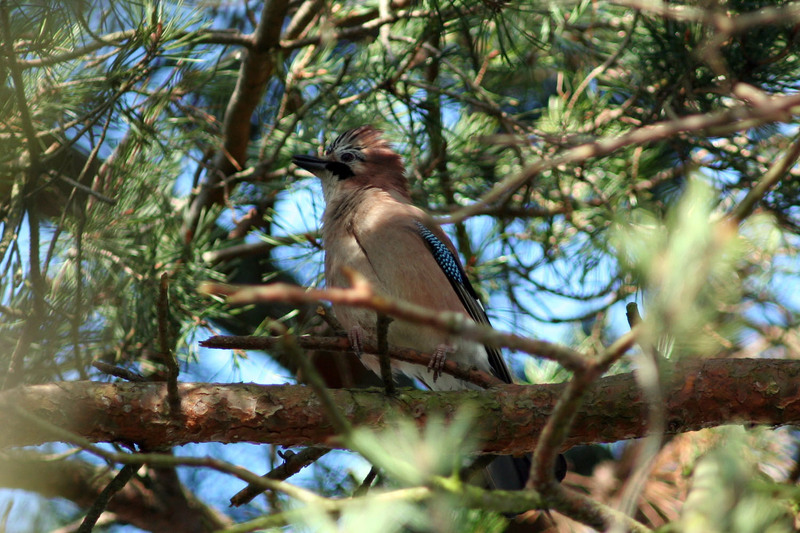 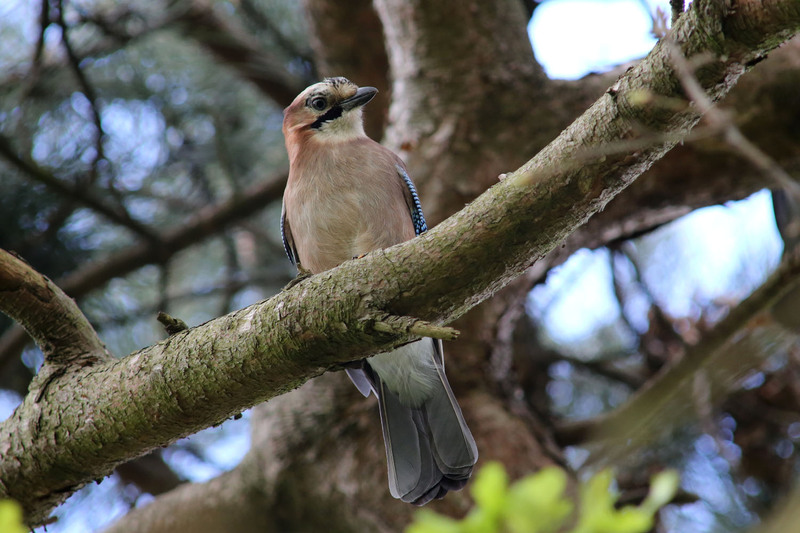 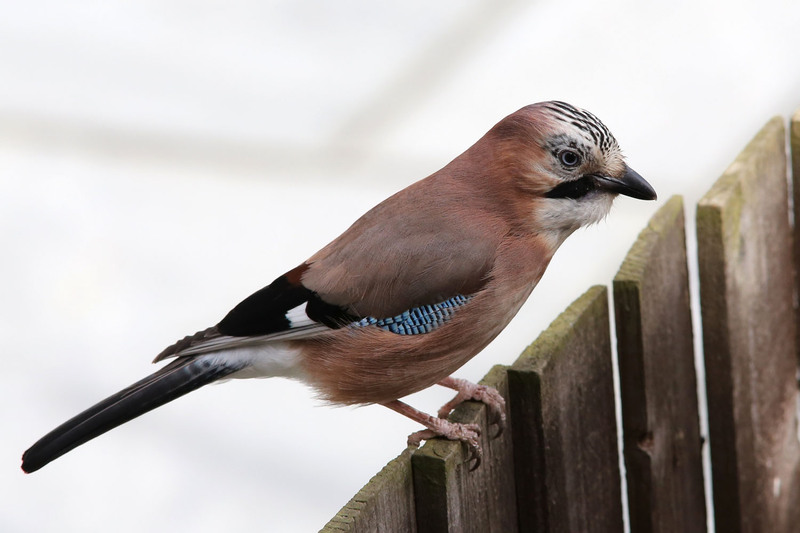 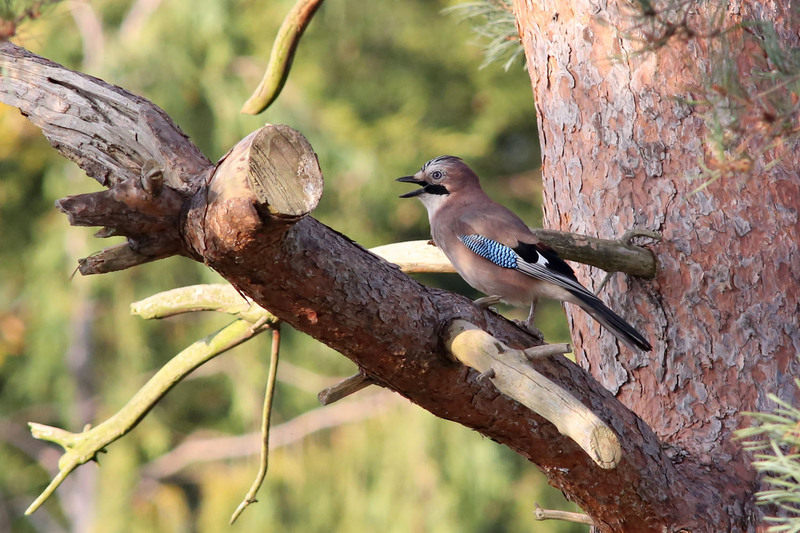 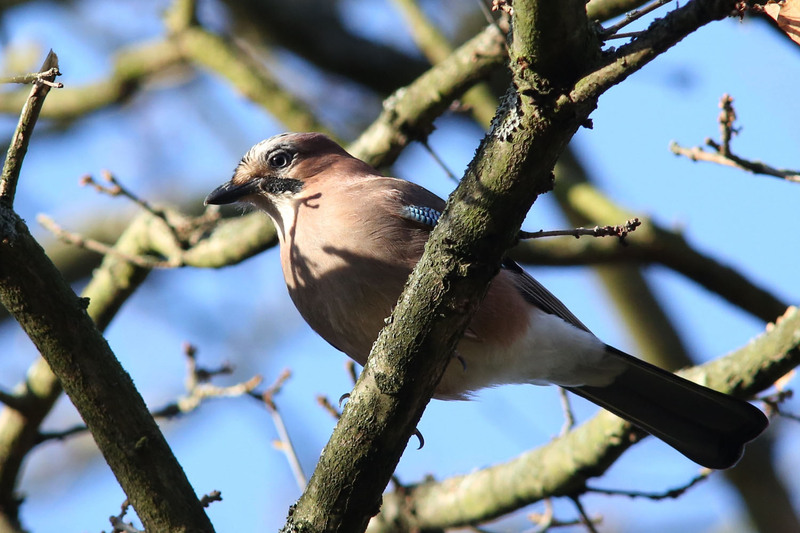 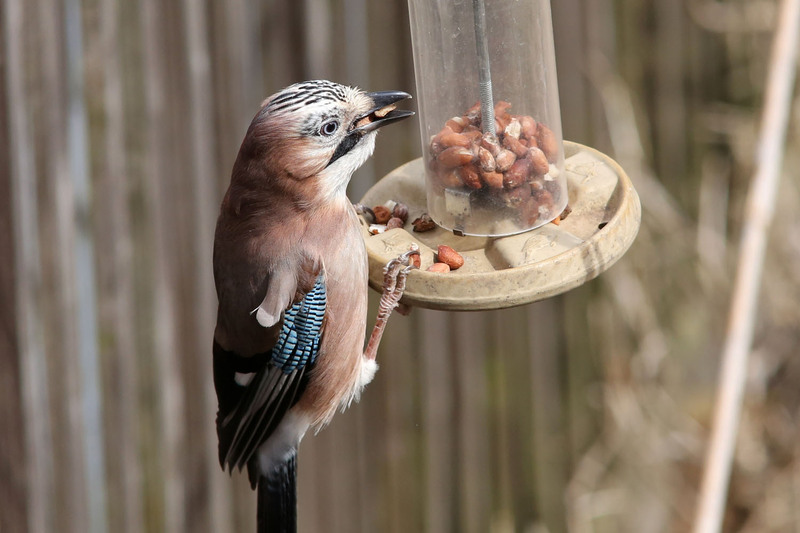 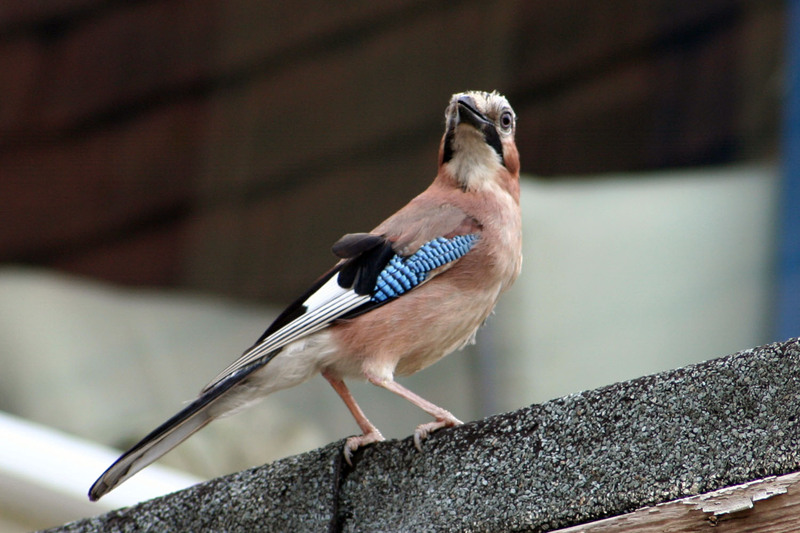 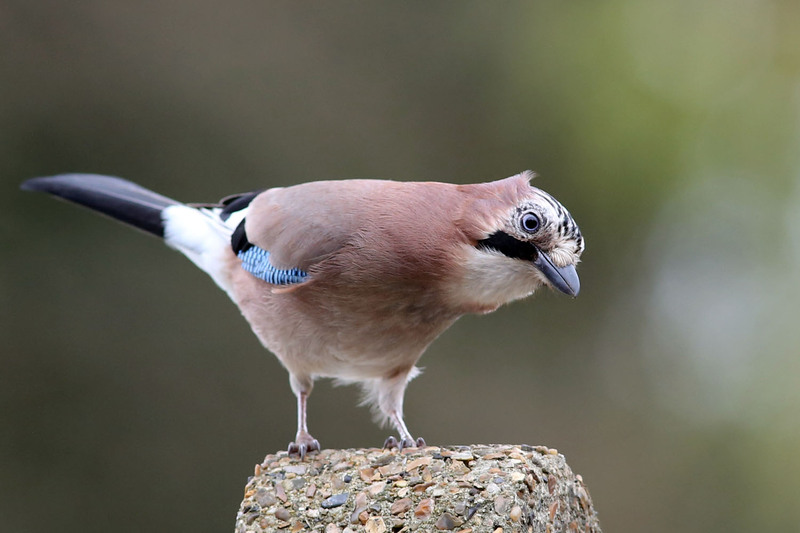 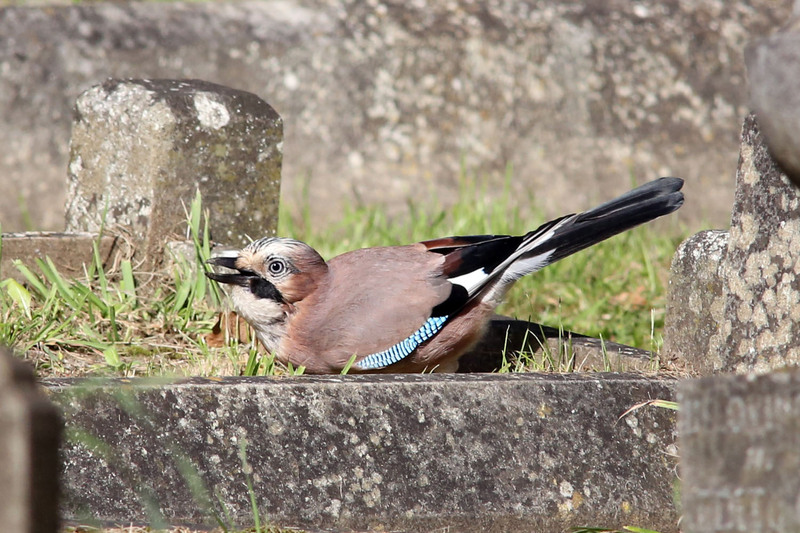 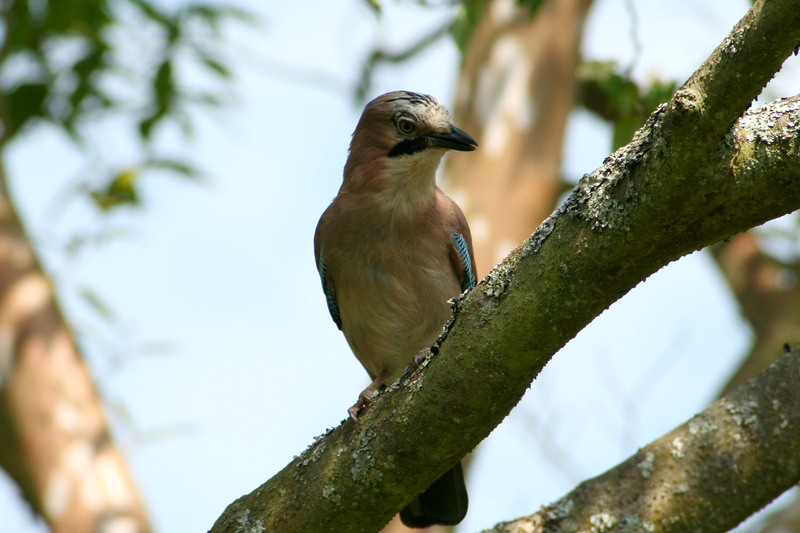 The Jay, like its cousin the Magpie, is a member of the Crow family but its pinky-brown body with a touch of blue on its wings make it a much more attractive bird. 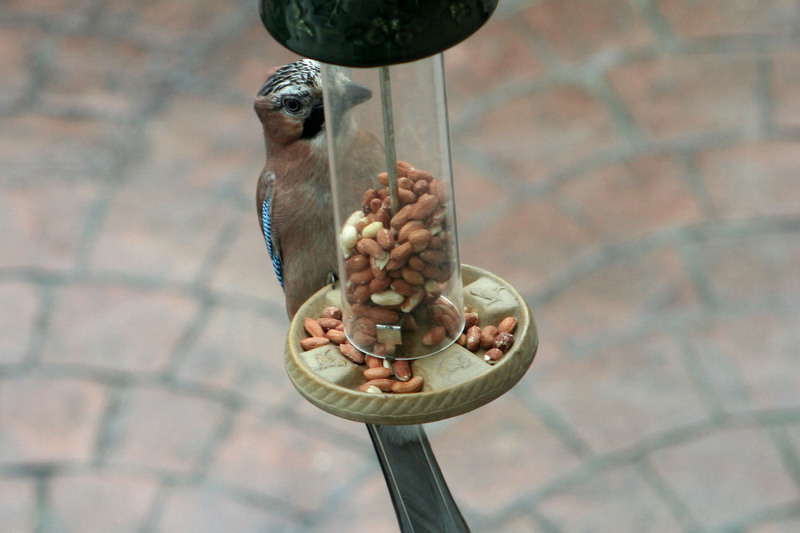 As you can see from the images they will occasionally come to the feeder. 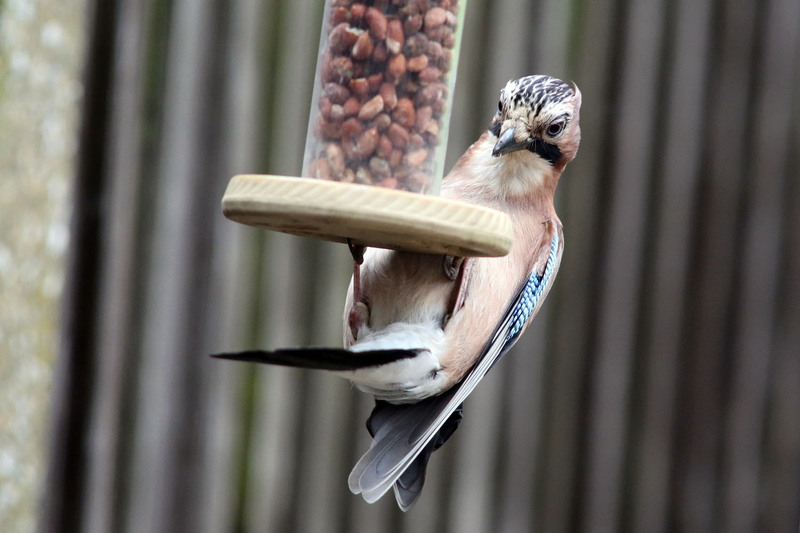 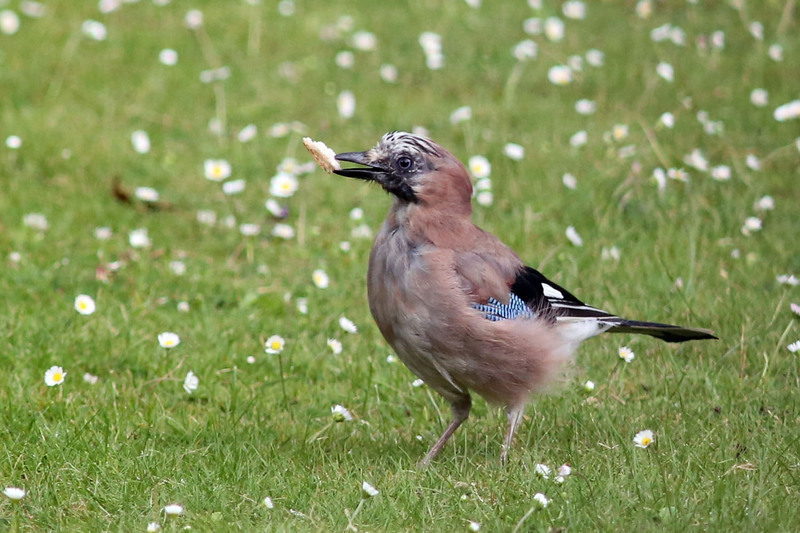 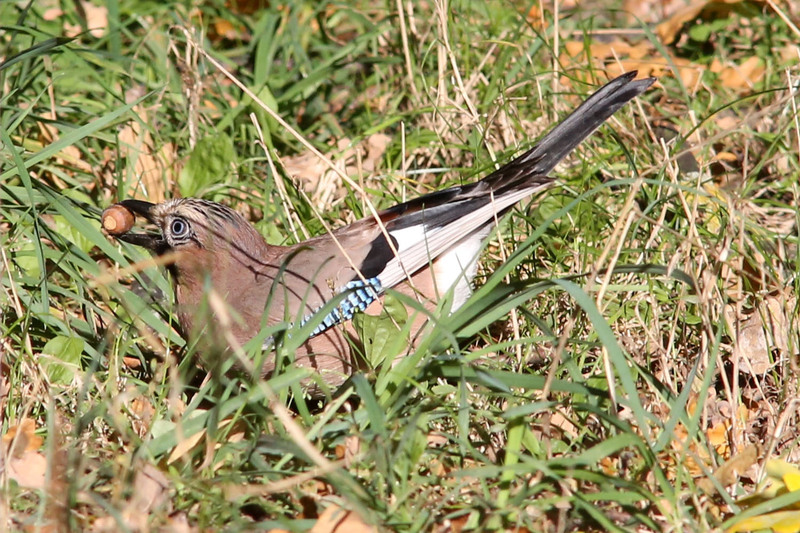 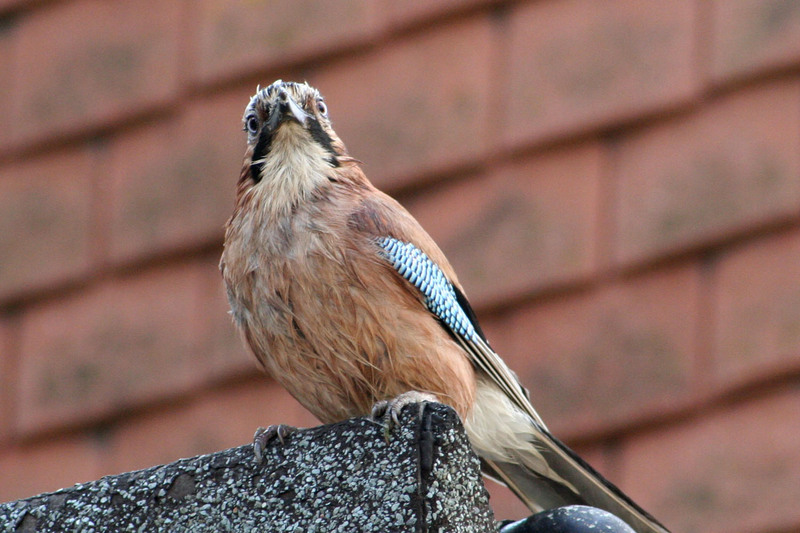 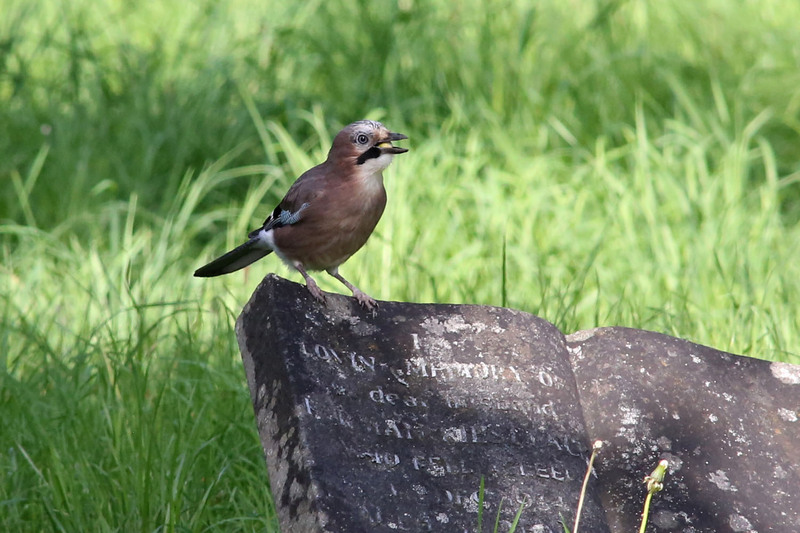 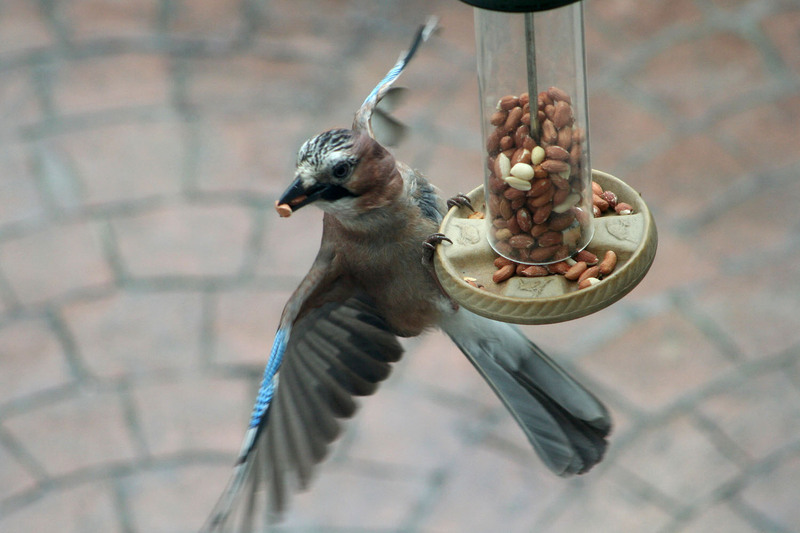 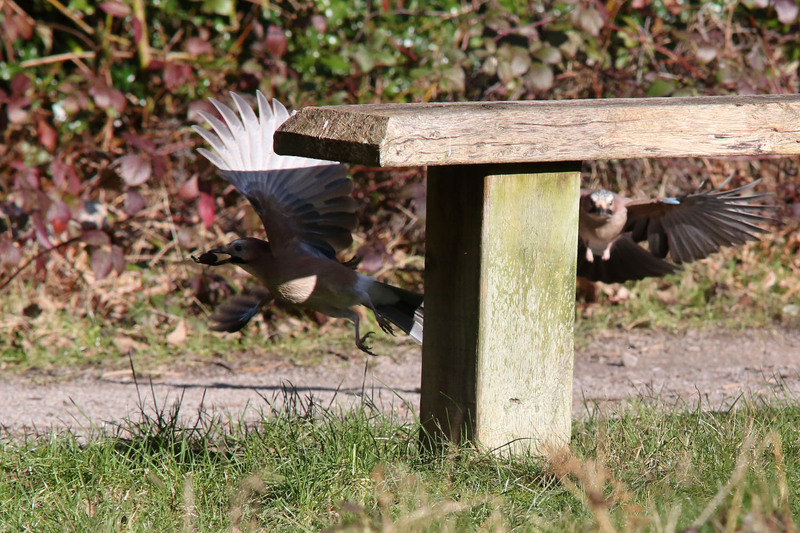 A Jay pecking on some food.